Beach vacations are for relaxing and recharging. They should never be stressful. However, with crazy schedules and work demands, visitors sometimes arrive unprepared, adding even more stress to their vacation. There are many ways to work ahead and prepare for a Gulf Shores beach vacation, ensuring a smooth trip full of worry-free fun. 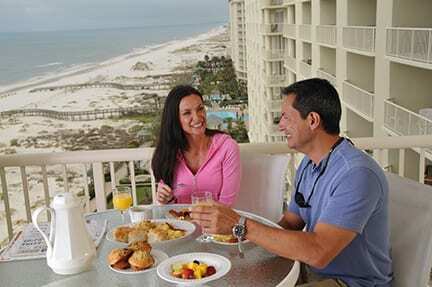 And even if you do forget any essentials, The Beach Club Resort—one of the top Gulf Shores luxury resorts—can assist you in making your getaway enjoyable and relaxing. It doesn’t take nearly as long as you think, and it’s so useful. Save it on your computer or phone, and it can be used over and over. Include clothing you simply can’t do without like swimsuits, flip flops, cover ups, etc. Tip! If you do forget a swimsuit or flip flops, stop by The Village Mercantile at The Beach Club Resort & Spa for a great selection of resort wear. Most visitors start throwing together a suitcase the night before, but some thoughtful planning can make packing a lot easier. Gulf Shores beachgoers know they’ll need a beach bag packed with essentials: towels, sunscreen, bug spray, toys (football, Frisbee, etc. ), hat or visor, baggies (to bring home seashells and other finds), pain reliever and lip balm for starters. Pack that bag in advance to make leaving necessities behind less likely. When staying at a Spectrum Resorts property like The Beach Club Resort, you can pre-order groceries to be delivered to your room prior to arrival. Instead of that dreaded grocery store trip as soon as you arrive, head to the pool or the beach. Many vacationers forget that toilet paper, paper towels, trash bags and dish detergent found in your unit upon arrival is only a STARTER supply. You’ll need more, so pack it or put it on your grocery order for your Gulf Shores beach vacation. Another tip for Spectrum Resorts guests at The Beach Club is to call ahead and reserve beach chairs. Why? It’s one less thing to do after arrival; you can ask for chairs with the best, unobstructed views; and you don’t have to worry about them being sold out during peak season. Make a trip to your local dollar store for great, bargain beach treasures. 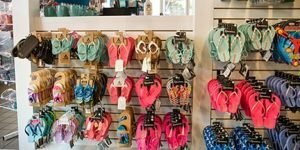 Water guns, noodles, sand buckets, sand molds, kites, a laundry bag (for hauling beach toys back and forth to the room – sand will sift right through the small holes), even sunglasses and snacks are all great additions to a Gulf Shores vacation. Pack DVDs from home along with microwave popcorn, a favorite board game, playing cards and the like. Keep in mind bowling alleys and movie theaters are great for weather days, as well as, spa treatments. Spectrum Resorts guests can also get free DVD rentals at the Clubhouse. The Clubhouse Gameroom is a fun place for the kids to burn some energy, too. If you need more rainy day ideas, check out these family-friendly options. An upcoming Gulf Shores beach vacation presents a timely opportunity to have your car’s oil changed, tires rotated, etc. A quick vehicle checkup may save you some trouble down the road. When packing and preparing for a Gulf Shores beach vacation, it’s also a good time to revisit the flag warning system and talk to everyone in your party about it. It could save a life. Take the time to put some of these tips into practice this year and find yourself extra prepared to enjoy a fun-filled, stress-free Gulf Shores beach vacation at The Beach Club Resort & Spa!